Applications for the 2nd Cycle of TIP are now open. Touch Innovation Program (TIP) is calling Lebanese startups for the second round of application after a successful first round in March 2018, in which 6 startups were selected: Dentiflow, Dox, Ecomz, Feel22, Jaleesa, and Sympaticus. TIP launched in January 2018, in partnership with Arabnet, and its mission has been to select high-potential entrepreneurs as “touch Innovators” and offer them benefits to further their startups. 8 to 12 startups are selected and identified annually; the process is divided into 2 rounds where 4 to 6 startups are selected every 6 months. The selected startups have access to Touch Lab where they undergo a series of training sessions covering a variety of topics which help them develop their skills and competences. These trainings include plenary lectures and hands-on exercises that encourage participation and interaction and one-on-one discussions where the ventures receive tailored advice from the trainer. TIP realizes that no startup can become successful without the right connections. 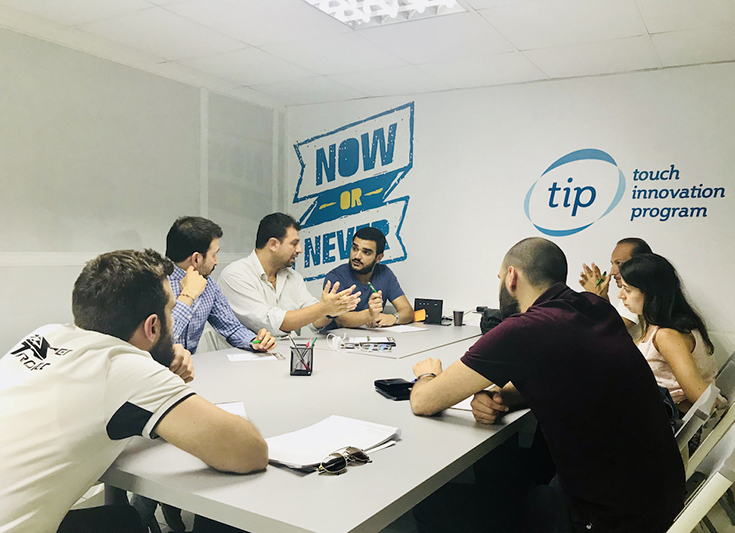 Therefore, TIP organizes meetups and matchups with business executives, investors, and industry leaders in order for startups to expand their clientele and build relationships with potential partners or founders. In addition to that, TIP makes sure that the selected startups receive the proper media exposure on TV through the TechTales mini-series, online through TIP blogs and Touch social media, and in local/regional exhibitions alongside Touch.